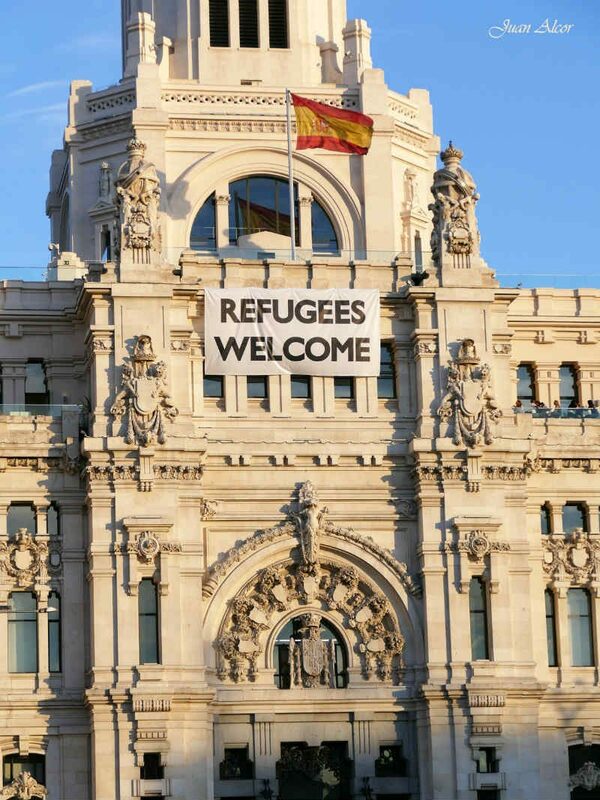 An image showing a "British Refugees Welcome" sign on the Palacio Cibeles in Spain was digitally manipulated for satirical purposes. A photograph shows a sign hanging from the Palacio Cibeles in Madrid, Spain, welcoming British refugees. A photograph purportedly showing a sign reading “British Refugees Welcome” hanging from the Palacio Cibeles in Madrid, Spain started circulating on the internet on 24 June 2016, a day after Britain voted to leave the European Union. The photograph was manipulated to serve as political commentary after the United Kingdom passed a polarizing referendum to leave the European Union, implying — since the vote passed by such a slender margin — that a large portion of people would want to flee the country. The peninsula on Spain’s south coast, a British territory since 1713 known to its 30,000 residents as “the Rock”, is a major point of contention in Anglo-Spanish relations. Spain has long claimed sovereignty over the enclave. “It’s a complete change of outlook that opens up new possibilities on Gibraltar not seen for a very long time. I hope the formula of co-sovereignty – to be clear, the Spanish flag on the Rock – is much closer than before,” Garcia-Margallo said. The long-term social and economic effects of Brexit’s passage are not yet known. However, it has not created a class of refugees fleeing from Britain.